Georgia Governor Nathan Deal confirmed Tuesday that he and Atlanta Falcons team officials are trying again to reach a deal on the financing of a proposed new downtown stadium for the team. WABE’s Denis O’Hayer reports. A revised deal for a new stadium currently is being negotiated whereby the Georgia Legislature would not have to vote on increasing the bonding capacity of Georgia World Congress Center to $300 million. Currently negotiations are underway at the Governor’s mansion between Gov. Nathan Deal, the Atlanta Falcons and the City of Atlanta where the bonding capacity would shift from the state to the city. No matter which governmental entity would end up issuing the bonds for the $1 billion project, the deal would not change substantially. The $300 million bond package would continue to be backed by the existing hotel-motel taxes that are collected in the City of Atlanta. The Falcons and the National Football League would cover two-thirds of the stadium’s cost. The major change with this arrangement is that the state legislature could be bypassed altogether. There has been vocal opposition to a new stadium deal among certain legislators, and several polls have shown that there is not much support for a new Atlanta Falcons stadium throughout the state. 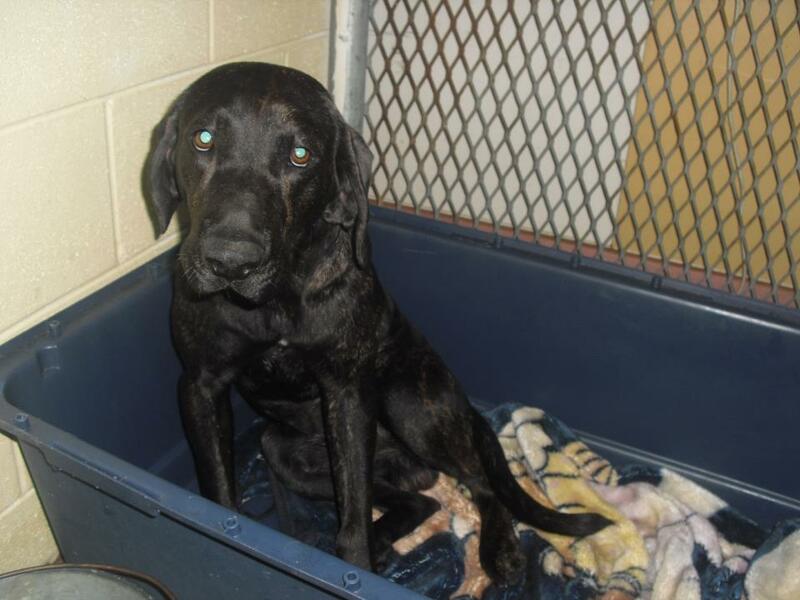 This ten-month old black-and-brindle lab mix will be euthanized at 1 AM Friday if no one steps up to foster or rescue him. Volunteers with the Murray County Animal Shelter says that while he has sad eyes, he’s a happy, calm, and gentle dog who will make a great pet. Transportation is available for this guy or any other dog at Murray County. The $115 adoption fee covers the cost for vetting, shots, heartworm check, and neutering. If you’re interested in fostering, the Shelter has several rescues it works with to facilitate foster homes. Email Lisa Hester or call 770-441-0329 if you can help. The National Republican Congressional Committee will continue to play Elmer Fudd to Georgia Democratic Congressman John Barrow’s Bugs Bunny, announcing yet again that they’re hunting wabbits targeting Barrow. Occasional Georgia resident Rob Simms, recently named Political Director for the NRCC, may have a better chance of catching the wascal beating Barrow. Georgia Secretary of State Brian Kemp has subpoenaed five Fulton County Elections Board officials to appear before a State Elections Board investigation into mishaps in last year’s voting and requested production of documents. Senator Josh McKoon took a few minutes to discuss the Senate Rules, specifically the limitation on who can file a complaint with the Senate Ethics Committee and what voters who feel shut out from filing a complaint can do. It’s worth a couple minutes of your time. Congratulations to Judge Carla Wong McMillian on her appointment by Governor Nathan Deal to the Georgia Court of Appeals. Judge McMillian, who served on the Fayette County State Court, is the first Asian-American judge on the state’s appellate court. On Wednesday, January 23d, members of the state judiciary will be presenting their budget requests to the General Assembly. The House Judiciary (Non-Civil) Committee will meet Friday, January 18th from 9:30 to 11 AM in Room 132 of the Capitol. When the Georgia Senate convenes today for the Fourth Legislative Day, the first and only bill on the calendar will be Senate Bill 24, which delegates to the Department of Community Health the power to levy the so-called hospital bed tax. Gov. Nathan Deal urged the quick passage of a Medicaid funding plan that would spare legislators from raising taxes and instead allow a state agency to fill the gaping hole in Georgia’s budget. Lt. Gov. Casey Cagle and House Speaker David Ralston on Wednesday also endorsed the governor’s plan to extend the 2-year-old funding mechanism, known as the “bed tax,” despite criticism from conservatives who oppose tax increases. The plan is expected to reach a Senate vote Thursday, and House lawmakers could debate it later this month. Yesterday, Governor Nathan Deal presented his legislative agenda to the Georgia Chamber of Commerce Eggs and Issues Breakfast. We have had one of the best years of economic development in quite some time. A few notable companies that have chosen Georgia include Baxter, General Motors, and Caterpillar, along with numerous others. We did this with your help, with both the private and the public sector doing their parts! As governor, my goal is to see Georgia become the No. 1 state in the nation in which to do business. I have made that clear from the beginning, because I believe that is the best path to economic growth and the quickest way to get Georgians into jobs. And we are not all that far off from reaching our target: For two years in a row, we have ranked in the top five for business climate by Site Selection Magazine, and we ranked No. 3 for doing business in 2012 by Area Development Magazine. But we certainly still have some hurdles that we must overcome before we get there. This morning I will focus my remarks on one of the highest hurdles facing state government, that of healthcare. Right now, the federal government pays a little under 66 cents for every dollar of Medicaid expenditure, leaving the state with the remaining 34 cents per dollar, which in 2012 amounted to $2.5B as the state share. For the past three years, hospitals have been contributing their part to help generate funds to pay for medical costs of the Medicaid program. Every dollar they have given has essentially resulted in two additional dollars from the federal government that in part can be used to increase Medicaid payments to the hospitals. But the time has come to determine whether they will continue their contribution through the provider fee. I have been informed that 10 to 14 hospitals will be faced with possible closure if the provider fee does not continue. These are hospitals that serve a large number of Medicaid patients. I propose giving the Department of Community Health board authority over the hospital provider fee, with the stipulation that reauthorization be required every four years by legislation. Of course, these fees are not new. In fact, we are one of 47 states that have either a nursing home or hospital provider fee—or both. It makes sense to me that, in Georgia, given the similarity of these two fees, we should house the authority and management of both of them under one roof for maximum efficiency and effectiveness. Sometimes it feels like when we have nearly conquered all of our hurdles, the federal government begins to place even more hurdles in our path. Georgians who have already received a paycheck this January have no doubt noticed that their payroll taxes went up and their take-home salary went down. This is the cost of entitlements. If you think your taxes went up a lot this month, just wait till we have to pay for “free health care.” Free never cost so much. Governor Deal also mentioned that he has “a tweeter account” as the staffer in charge of social media cringed in the back. Deal said he will work to ensure that state agencies are cooperating with and fully performing background checks for gun permits as required under federal law. Speaker Ralston responded to the Senate’s opening bid on ethics reform by repeating that he favors a complete ban. Ralston says House lawmakers plan to propose a permanent change regarding lobbyist gifts in the near future. Ralston plans to introduce legislation that would include a complete ban on items given by lobbyists. One of the largest criticisms of the new Senate rule is that there are a number of exceptions. For instance, the law allows lobbyists to give multiple gifts that are $100 or less. It also allows for lobbyists to pay for travel and a number of other expenses related to Senators’ official duties. Jim Galloway suggests that in exchange for ethics reform today, legislators may seek a pay raise tomorrow when the economy improves. We need to start paying a decent salary to these 236 lawmakers sent to Atlanta each year. The idea was considered and ultimately discarded by the alliance of conservatives, liberals and civic-minded pushing this year’s $100 cap on gifts from lobbyists to lawmakers. Newly-minted State Senator Mike Dugan would like to see term limits for state legislators. Dugan said repeatedly on the campaign trail that he hopes to introduce term limits in the General Assembly. He hopes to work toward this goal in 2013. “What I’d like is a maximum of 10 years, which is five terms,” Dugan said. “The longest a person can be president is 10 years. If 10 years are served, Dugan feels it should be required that a legislator sit out two terms, or four years, before running again. Senator Mike Crane apparently is seeking instead to limit his own effectiveness among his colleagues. 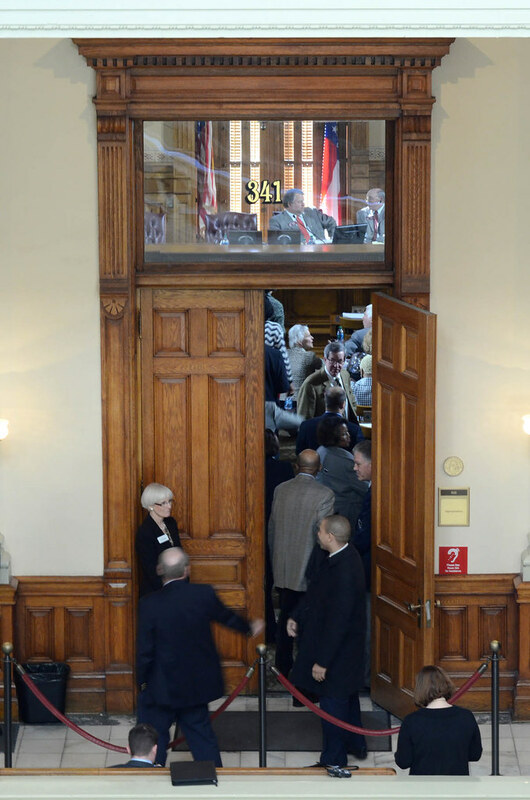 State Sen. Mike Crane, R-Newnan, started the 2013 Georgia General Assembly session off with a bang when he became the most vocal opponent of a set of rules that would restore much of the power that Lt. Gov. Casey Cagle was stripped of two years ago. “This may be the end of my political aspirations, but I will never stop fighting for liberty,” Crane said on the Senate floor. On Tuesday, the second day of the session, Crane reiterated his position. Crane addressed his colleagues and told them he would bring up the matter each of the remaining 38 days in the legislative session. “Do you think freedom is at the helm of this body?” he asked. After Crane’s comments, Sen. John Wilkinson, R-Toccoa, expressed exasperation with his fellow sophomore. Both were elected in special elections to complete terms of men Gov. Nathan Deal appointed to state jobs. “I think we need to decide if we’re more interested in getting things done or in making a point,” he said, noting that the rule empowering Cagle had already been voted on and was settled. State Representative Dee Dawkins-Haigler (D-Lithonia) was elected Chair of the Georgia Legislative Black Caucus. If you get what you pay for, then Georgians should have no reason to complain. They’ve been paying for an army of fry cooks and dishwashers. The problem is that lawmakers themselves are loathe to raise the pay issue. 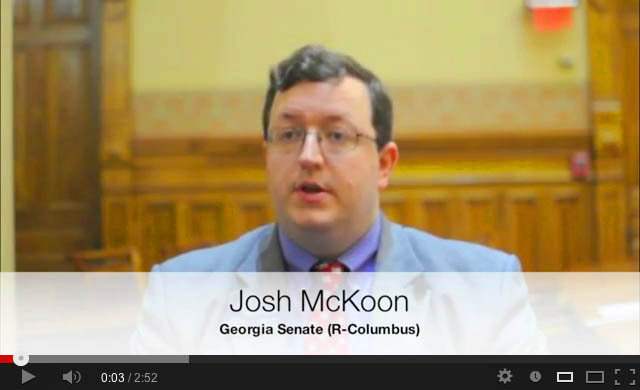 “I’m not going to vote for an increase in legislative pay when I have school teachers in every district that I represent who are being furloughed,” said state Sen. Josh McKoon, R-Columbus, the Capitol’s most aggressive proponent of a $100 cap on gifts for lawmakers. No, livable wages for state lawmakers would have to be an issue taken up by a fellow with plenty of clout and little to lose. A governor in his second term, for instance. Big wins by the Atlanta Falcons would likely help them make the case for taxpayer funding of a new stadium, according to Governor Deal. Former Atlanta Mayor Shirley Franklin will serve as a Visiting Professor in Ethics and Political Values at the Lyndon B. Johnson School of Public Affairs at the University of Texas. House Republicans may begin moving forward on the project of trimming the footprint of Fulton County government, as GOPers now constitute a majority on the Fulton County delegation after redistricting. Passing legislation that would allow north Fulton to break away to form a new Milton County remains impractical, mainly because the idea’s most powerful advocate, House Speaker Pro Tem Jan Jones, R-Milton, has never been able to assemble enough votes. More doable this year: a reconfiguration of the County Commission that would give north Fulton more input into the distribution of hundreds of millions of dollars in tax funds and services for nearly 1 million people. The Legislature could also beef up the powers of the commission chairman and protect the county manager from being fired without cause, changes that could lessen the circus atmosphere of public meetings. Rep. Wendell Willard, R-Sandy Springs, said such structural changes won’t end the push for secession. The City of Buchanan will put Sunday Sales on the March 19th ballot. The investigation into possible corruption in DeKalb County is now focussing on six companies that made millions from the County, while CEO Burrell Ellis’s former campaign manager Kevin Ross has also been the target of a seach warrant. Gwinnett County Chair Charlotte Nash made fighting corruption and restoring the county government’s reputation cornerstones of her State of the County address. Nash pointed to changes in the county’s ethics and land purchase laws during her time in office, but said commissioners will keep working to restore trust with citizens. This year, she said, the board will continue to try to restore public trust by hosting town hall meetings. Plus, commissioners approved a new lead investigator for the district attorney’s office, added specifically to root out corruption among public officials. She also noted the new non-profit entity created to keep public dollars separate and transparent in the Partnerhips Gwinnett economic development initiative. An historic reduction in crime statistics in Savannah may be the result of cooked books rather than better enforcement, according to some Aldermen. Alderman Tony Thomas, saying he had at least six constituent complaints to support his claim, leveled that allegation during Tuesday’s annual City Council retreat. Mayor Pro Tem Van Johnson said he has received similar complaints about officers trying to dissuade citizens from filing reports or complaints about officers who are slow to respond. “They are under tremendous pressure to bring statistics down,” Johnson said. ATLANTA (November 15, 2012) – Senator David Shafer (R-Duluth) has been elected by the Senate Republican Caucus to serve as the next president pro tempore of the Georgia State Senate, effective with the start of the 152nd Legislative Session of the Georgia General Assembly. The Senate Republican Caucus held leadership elections today during a retreat at Little Ocmulgee State Park, where they will also adopt caucus rules and proposed Senate rules for the upcoming legislative session. Senator Shafer will become the 68th president pro tempore in the history of Georgia, the Senate’s second-highest ranking position after the lieutenant governor. The president pro tem chairs the Senate Administrative Affairs Committee, which is responsible for operations of the Senate, and is charged with speaking on behalf of the entire Senate. He also assumes the duties of the lieutenant governor in his absence. Senator Shafer most recently served as chairman of the Senate Regulated Industries and Utilities Committee, vice chairman of the Senate Insurance and Labor Committee, and as a member of the Senate Finance, Government Oversight and Rules Committees. He also served as an ex-officio member of the Health and Human Services Committee. The 152nd Legislative Session of the Georgia General Assembly will convene January 14, 2013 at the Georgia State Capitol. At that time, the entire Senate will cast a formal vote for president pro tempore. ATLANTA (November 15, 2012) – Senator Ronnie Chance (R-Tyrone) was elected by the Senate Republican Caucus to become the next majority leader of the Georgia State Senate, effective with the start of the 152nd Legislative Session of the Georgia General Assembly. The Senate Republican Caucus held leadership elections today during a retreat at Little Ocmulgee State Park, where they will also adopt caucus rules and proposed Senate rules for the upcoming legislative session. Once sworn in, Senator Chance will hold the second-highest ranking position in the Georgia State Senate. The majority leader is the primary spokesperson for the majority party and works closely with Senate leadership to develop policy platforms. In addition, the majority leader is also charged with setting the legislative session calendar. Senator Chance most recently served as chair of the Senate Economic Development Committee and as a member of the Senate Banking and Financial Institutions, Ethics, Finance and Higher Education Committees. The 152nd Legislative Session of the Georgia General Assembly will convene January 14, 2013 at the Georgia State Capitol. At that time, the entire Senate will cast a formal vote for majority leader. Sen. Staton previously held the position of vice-chairman of the Senate Republican Caucus prior to his appointment as Majority Whip. This will be his second concurrent term as majority whip in the state senate. The Majority Whip’s primary responsibility is to research legislation, educate and inform caucus members, ensure that majority members are present during important votes, and is also responsible for counting votes. The Majority Whip is the third ranking leadership position within the Republican caucus. Sen. Staton is also currently a member of the Senate Committee on Assignments and the Senate Appropriations Committee and is Chairman of the sub-committee on Higher Education. Additionally, he serves on the Rules, Finance, Transportation, and Banking and Financial Institutions committees and sits on three sub-committees. The 152nd Legislative Session of the Georgia General Assembly will convene January 14, 2013 at the Georgia State Capitol. ATLANTA (November 16, 2012) – Sen. Butch Miller (R-Gainesville) was recently elected to serve as Republican Caucus Chair of the Georgia State Senate, effective with the start of the 152nd Legislative Session of the Georgia General Assembly. The Senate Republican Caucus held leadership elections during a retreat at Little Ocmulgee State Park, where they will also debate and consider caucus rules and proposed Senate rules for the upcoming legislative session. Sen. Miller currently serves as the Governor’s floor leader and will begin serving his first term as caucus chair in January. The Senate Majority Caucus Chair is responsible for working with caucus leaders to develop the caucus agenda, oversee meetings and assist in the development of policy. Sen. Miller currently serves as chairman of the State and Local Government Operations Committee and as secretary of the Economic Development Committee. He is also a member of the Agriculture and Consumer Affairs and Transportation committees and is an ex-officio member of the Natural Resources and the Environment Committee. Senator Hill most recently served as chair of the Senate Government Oversight Committee and as a member of the Senate Appropriations, Health and Human Services and Special Judiciary Committees. He also served as an ex-officio member of the Insurance and Labor, Judiciary and Transportation Committees. ATLANTA (November 16, 2012) – Sen. Steve Gooch (R-Dahlonega) was recently elected to serve as Majority Caucus Secretary of the Georgia State Senate, effective with the start of the 152ndLegislative Session of the Georgia General Assembly. The Senate Republican Caucus held leadership elections during a retreat at Little Ocmulgee State Park, where they will also debate and consider caucus rules and proposed Senate rules for the upcoming legislative session. Sen. Gooch currently serves as Secretary of the Transportation Committee and is also a member of the Economic Development, Government Oversight, State and Local Government Operations and State Institutions and Property Committees. He also serves as Ex-Officio of the Natural Resources and the Environment Committee. In addition, Governor Deal appointed Senator Gooch to the MARTOC Committee in 2011. 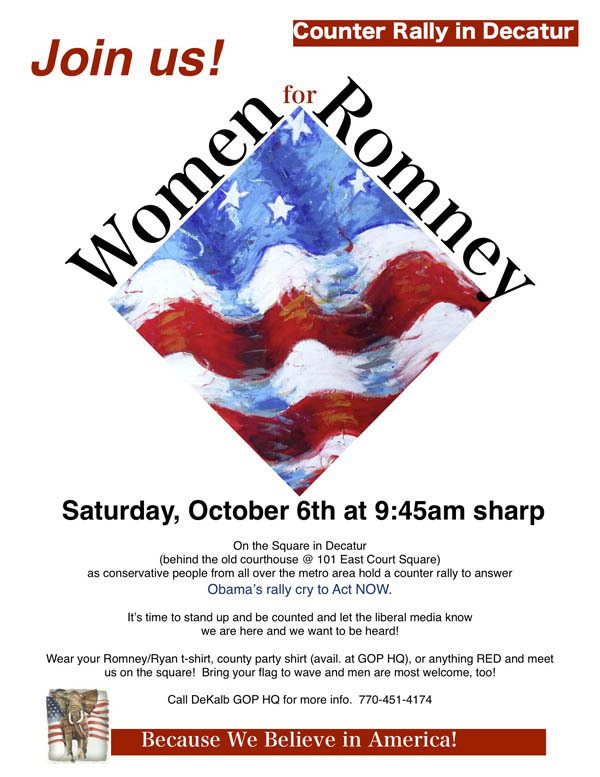 The General Election date is November 6th, 2012. The deadline for voter registration for the General Election is October 9, 2012, less than one week from today. Today would be a good day to email five friends with the following information, so they can make sure they’re registered. To check your voter registration or view a sample ballot, please visit the Georgia Secretary of State’s office and use their MVP voter registration tool. 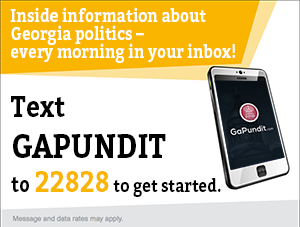 For questions about election dates, always check with the Georgia Secretary of State’s website or your local County Elections Office. Advanced voting in person starts October 15, 2012; here’s where and when to vote early in person in your county. More than 10,000 voters are marked as having already voted in the November 6th General Election, according to data from the Georgia Secretary of State’s Office. Tomorrow is “Black Friday” at the Gwinnett County Animal Shelter, where black or majority-black dogs and cats can be adopted for $30, which is a $60 discount over most days. 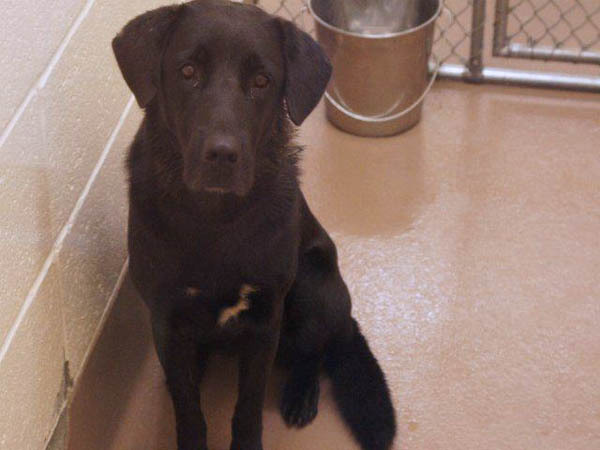 27763 above is an adult, female lab mix who surely qualifies. She is large and friendly and will make a great companion. 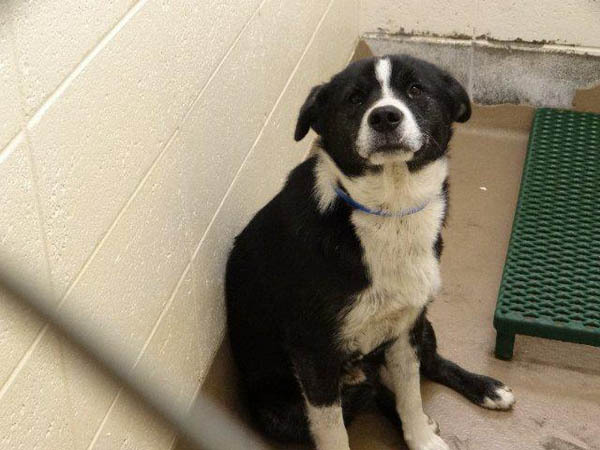 27778 is a young, male Border Collie mix, and I think he has enough black fur to qualify. The shelter volunteers rave about how good a dog he is. Not shockingly, Cobb County Republicans who gathered for a debate watching party thought that Governor Romney won last night’s debate. Georgia’s two U.S. senators, Johnny Isakson of east Cobb and Saxby Chambliss of Moultrie, declared Mitt Romney the winner in the first presidential debate between the former Massachusetts governor and President Barack Obama on Wednesday. “I wanted to see the Romney that I hoped I would see, and I saw him tonight. He was very, very good,” said Isakson, who watched the debate from home. Isakson said it was clear that Romney bested Obama in the Denver debate. It was crucial that Romney perform as well as he did, Isakson said. Surprisingly, liberal NPR called Romney “dominant”. If you have nothing better to do with your time, here’s a complete transcript of the debate. And here are some experts deconstructing the body language and political communication skills on display by the candidates. “Tonight’s Presidential debate illustrated the incredible chasm and stark differences that exists between the policies of President Obama and those of Mitt Romney. “Romney’s tax plan is not only unworkable but is nothing more than an absolute fantasy. His assertions that cutting taxes for the rich somehow equates to increasing revenue and benefits for everyone, including the middle class is simply impossible. But whether he likes it or not, tax cuts do help create jobs or attract them to Georgia. Governor Deal has said that eliminating the state sales tax on energy used in manufacturing helped the state land Baxter International and Caterpillar, two recent economic development triumphs. Campaign contribution disclosures are due today for the period ended September 30th. If you find yourself having filing difficulties, here are some tips for what I would do while I’m waiting for the disclosure system to reload. Local school boards do not have the legal authority to expend funds or other resources to advocate or oppose the ratification of a constitutional amendment by the voters. They may not do this directly or indirectly through associations to which they may belong. 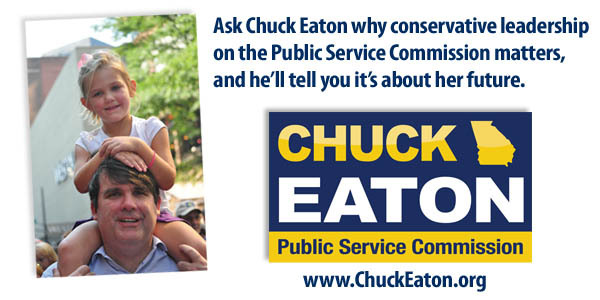 Counties may not use their resources to persuade voter to support or oppose a ballot question. Such electoral advocacy to voters is not permitted as an exercise of the general power to administer county government or otherwise. Angela Palm with the Georgia School Boards Association says she wants more clarification from the Attorney General and is concerned the opinion could be in violation of the first amendment. The [Georgia Supreme]Court acknowledged that [local elected officials] have the right, in their individual capacities, to support the adoption of [a] Constitutional Amendment,’ however they had no constitutional right of free speech to speak at county expense. Republican state legislators will find themselves in a familiar place when they convene in January: caught between Grover Norquist’s no tax hike pledge that many signed, and local hospitals, who say that renewing the bed tax they pay is actually a good thing because the proceeds plus a federal match are used to pay for Medicaid patients. Anti-tax advocate Grover Norquist, president of Americans For Tax Reform, recently told the Republican-dominated General Assembly in a letter that renewing the Hospital Provider Payment Program would violate the anti-tax pledges of about four dozen lawmakers. Lawmakers adopted the tax in 2010 as state tax collections tanked because of the Great Recession. It uses tax money paid by the hospitals to generate an even larger pot of state and federal health care money that then flows back to the hospitals. Hospitals with a large share of poor patients get more back in increased Medicaid payments – a government insurance program that covers the poor – than they pay in hospital taxes. Hospitals with a larger share of patients covered by Medicare or private insurance get fewer benefits than they pay out in taxes. Still, those hospitals get an indirect benefit. They don’t have to directly bear the costs of caring for the poor because the tax helps stabilize the budgets of hospitals serving poorer populations. This may also present a leadership challenge for the new Senate leadership, as the 2010 bed tax vote is cited as a reason for the long-running feud between Lt. Governor Casey Cagle and the incumbent Senate leadership management. State Rep. Mike Jacobs, who chairs the MARTA Oversight Committee, says that the MARTA Board failed to comply with open meetings laws, and is trying to derail an investigation by the Attorney General’s office. State Rep. Mike Jacobs, R-Atlanta, said he has evidence from other MARTA board members that director Barbara Babbit Kaufman falsified an affidavit he requested to show compliance with the Open Meetings Act during the search for a new General Manager. Kaufman said she did not intentionally violate any law. Jacobs wrote state Attorney General Sam Olens Wednesday to amend his initial complaint about possible MARTA board violations of open meetings, which focused on an email in which Kaufman asked board members to send her their “vote” on a new GM. Jacobs had also said the board’s search committee, chaired by Kaufman, failed to meet required procedures for meeting in private. The Open Meetings Act requires a vote for a board to go into non-public session. It also requires a notarized affidavit by the committee chairperson stating the legitimate reason for the closure, such as to discuss candidates for a high-profile public job. Jacobs’ latest letter to Olens essentially says Kaufman created that paperwork only after he complained. Washington County State Court Judge Robert Wommack Jr. was privately reprimanded by the Georgia Judicial Qualifications Commission after a March 2012 guilty plea to charges of DUI and excessive speed. In March, Wommack entered a guilty plea in Laurens County Probate Court. Wommack was sentenced at that time to 12 months probation and ordered to pay a $945 fine, according to the JQC report. His driver’s license was suspended for 120 days, and he was ordered to attend a DUI/risk reduction course, participate for 40 hours in an Alcohol Anonymous program and serve 22 hours of community service, the JQC report said. It also said Wommack had promptly reported his arrest to the JQC and voluntarily disqualified himself from all cases involving DUIs that were then pending in state court. According to the JQC report, Wommack also discussed with the JQC the facts of his arrest and the resolution of the charges. The Macon-Bibb County consolidation transition team is recommending that joint operations begin two weeks earlier than originally planned. Macon and Bibb County governments were scheduled to cease to exist on Jan. 13, 2014, before the new merged government takes effect the next day, Jan. 14. But the committee unanimously decided Wednesday to recommend to the task force that the new government instead go into effect Jan. 1, 2014, said Laura Mathis, deputy director of the Middle Georgia Regional Commission. If the task force agrees, the state legislative delegation would be asked to legally change the official start date, she said. Bibb County Commissioner Elmo Richardson, who made the motion for the earlier start, said waiting nearly two weeks into a calendar year to put the new government into effect could cause unnecessary inconveniences with everything from payroll, to accounting and insurance. Media inquiries prompted Augusta City Commissioner Grady Smith to pull a bid on providing plumbing services to the Sheriff’s department. Smith, Super District 10 commissioner, said his company was building on a long-standing relationship with Richmond County Sheriff Ronnie Strength when Smith Bros. Mechanical made a $24,000 bid last month to do plumbing work at the substation in south Augusta. The move violated the city’s ethics code, which prohibits commissioners from substantially benefitting from city procurement contracts, unless they apply for an exception. Smith said his company’s bid was the lowest by $12,000 and that he had an application for the exception on Monday’s finance committee agenda but withdrew the request Wednesday. Savannah City Manager Rochelle Small-Toney is resigning, according to Mayor Edna Jackson. Jackson asked for the resignation Sept. 25 after a flurry of management issues that included a $6 million backlog and complete staff turnover of buyers in Purchasing, a botched bid that could have led to a lawsuit and the termination of the emergency management director, a business associate of the city manager. Wednesday about noon, her supporters, dwindling but vocal, gathered for an impromptu press conference outside City Hall. Chatham County Democratic District Attorney Larry Chisolm and Republican challenger Meg Heap took questions from the audience at a joint appearance yesterday. Chisolm — who said turnover in his office has been comparable to that of his predecessor’s and that there were not enough elder abuse cases to deserve a single prosecutor — said voters should reelect him because he’s drastically cut down a backlog of cases and has achieved very high rates of felony convictions at trial. The Augusta Chronicle’s Editorial Board brings us the shocking news that liberal mainstream media edit what they say to present their views as backed-up by facts, and to make Republicans look bad. Democratic pollster Pat Caddell recently said the media have made themselves “a fundamental threat to the democracy, and, in my opinion … the enemy of the American people. Democrat commentator Kirsten Powers, speaking on the Obama administration’s oddly changing stories on who was behind the U.S. embassy attacks – and the media’s relative disinterest in the scandal – says: “In this case, lack of curiosity on the part of the American media very well may kill more Americans.” How? By letting the Obama administration off the hook vis-a-vis questions on security. As we near the one-year anniversary of the spectacular failure that was Occupy Atlanta, some hippies in Savannah held an Occupy Savannah rally that attracted one dude in a dour black dress. Florida wants more water from Lake Lanier to protect its Gulf Coast oyster industry. Maybe they’ll go in with us on the invasion of Tennessee to get more of our water back. Local NPR affiliate WABE has the firsthand story of an Atlanta attorney who who put her now-19 year old son up for adoption through an open process and the relationship they now have. It’s an excellent was to spend six minutes. An historical marker was recently unveiled commemorating the the Second Atlanta International Pop Festival at Middle Georgia Raceway in Byron. A documentary called “Alex Cooley Presents Time Has Come Today” includes footage of that event and two others produced by Atlanta’s Cooley. Another film called Hotlanta, The Great Lost Rock Festival made a debut screening recently and we look forward to seeing it in wider release.